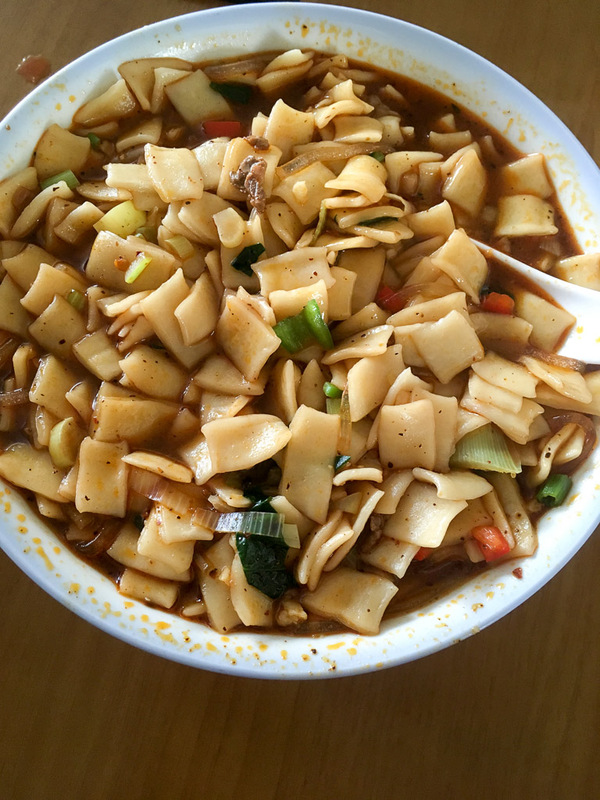 In a variation on our post about noodles, I'm going to write about a specific kind of noodles they have here, often fondly referred to by foreigners as "square noodles." You can guess why we call it that. Some random mom at the playground at M's school the other day told me that archaeological finds had confirmed that the earliest cultivation of wheat was in this area. Now, I'm pretty sure the earliest in the world was in Mesopotamia, but maybe she meant for this region? 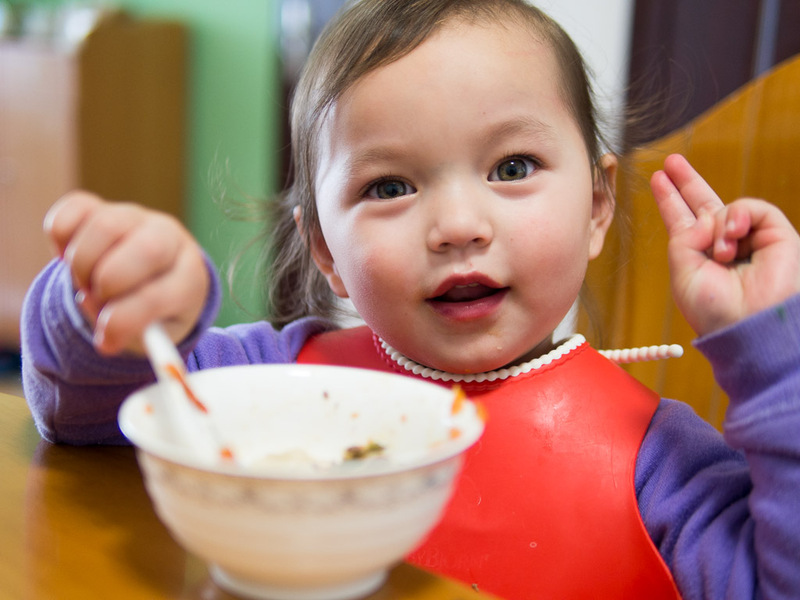 At any rate, wheat is a big part of the diet here: noodles, breads, filled dumplings, they've got them all. Square noodles are made by flattening out a long, thin piece of dough and then ripping off pieces about an inch long and throwing them into boiling water to cook. In the restaurants they can do this super fast; when I tried it at home it took me A LOT longer to get each piece off the strip of dough and then to get it to come off my finger and fall in the water. 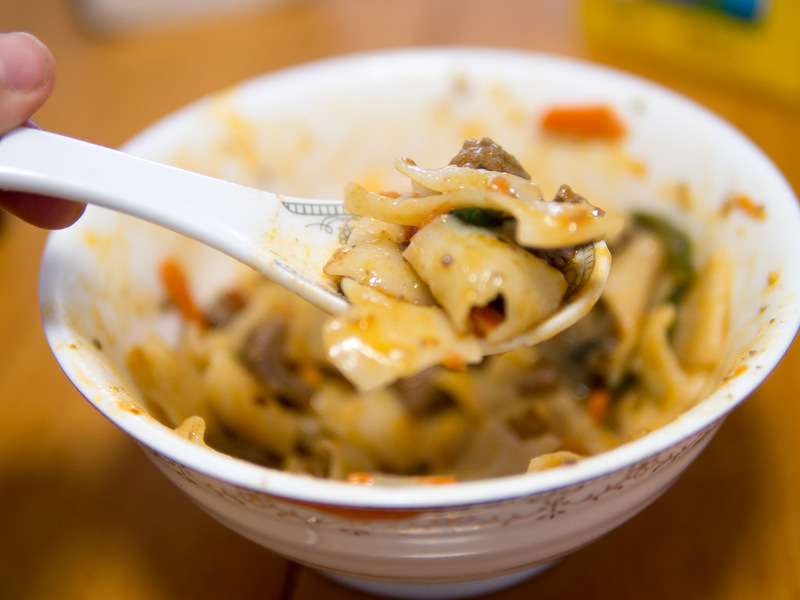 The noodles, which cook pretty fast, are usually served with a sauce that can be soupy or not, and usually has lamb, tomatoes, other vegetables and of course, spicy peppers. I tried making it at home after a neighbor told me that you can buy the noodle dough nearby instead of having to make it yourself, and it wasn't bad! Every local person I've told about attempting to make it has been super impressed haha. Although they also all tell me that the only way to get good square noodles is to make the dough yourself. So maybe once I've figured out the sauce, I'll work on making my own dough. But for now, I'm happy to just buy it and flick it into the pot. Learning how to make it also means that I'll be able to make it and serve it to our non-spicy eating guests so they can still try local food!